Stress is a common problem. Whether you’re rich, poor, old, or young, one issue we all share is stress. A survey done by Stress in America found that around 30 percent of teens reported feeling sad or depressed because of stress and about 31 percent felt overwhelmed. A huge part of this stress in teens stems from school. 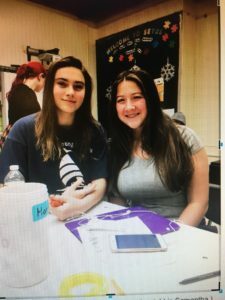 In Millennium Brooklyn High School a sophomore, Nora Hans, commented, “The way that high schools are set up now are detrimental to the the students.” She went on to talk about how her stress is mostly due to the amount of homework, projects and exams that her school imposes on her. Another root of stress is websites like PupilPath and Jupiter Grades where all students can see their grades at their leisure. Today’s teens at look at their phones constantly. I myself am guilty of five hours of screen time daily, with my second most used app being PupilPath. Having grades at your fingertips will ensure that they will be with you wherever you go. The stress behind these apps arises from how they are used when a student is awaiting a grade on, let’s say, an exam. These apps allow them to check constantly to see if the grade has been put up, which, in turn, puts the grade at the forefront of their mind. Before you know it the stress from the assignment is overwhelming. Murrow students Stella (left) and Samantha have their own ways to cope with stress. out what makes them feel stressed and how they deal with it. “School. The fact that I have to start looking at college all that pressure,” says 17-year-old Stella. She writes down feelings-2 or 3 pages-and then throws the paper away. Or she sleeps.